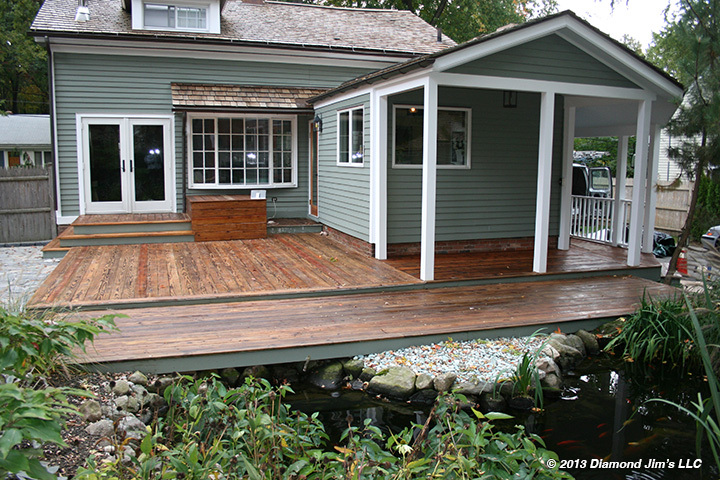 Another view of the completed deck freshly oiled. You should not walk on a deck for two days after oiling as you don’t want to track oil into your house. After that time you may put your chairs and table back on the deck.